A bright topping, sort of a cross between a gremolata and a sauce, dresses up the otherwise straightforward roast lamb. If you want deeper flavor in the relish, add a finely minced anchovy. 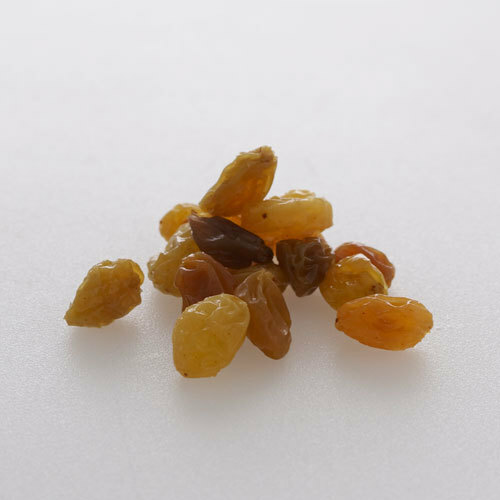 In a small bowl, combine the mint, raisins, pine nuts, garlic, lemon zest, and lemon juice. Stir in 1/4 cup of the olive oil and season to taste with salt and pepper. Heat the oven to 350°F. Season the lamb well on all sides with salt and pepper. Heat the remaining 2 Tbs. 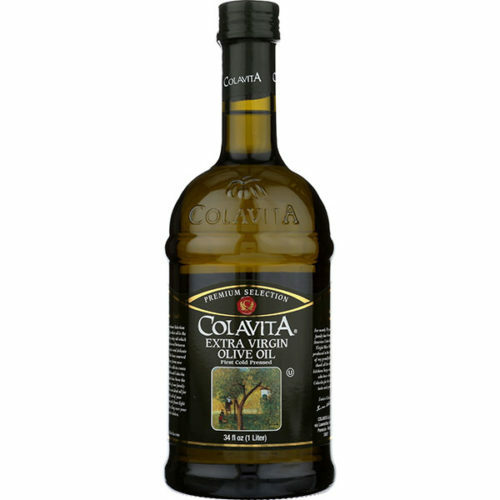 of olive oil in a large, heavy skillet over medium-high heat until very hot. Working in batches if necessary, sear the lamb racks on all sides until well browned, about 5 minutes per batch. Put the browned racks bone side down on a heavy-duty rimmed baking sheet and roast until an instant-read thermometer inserted in the thickest part of the meat reads 125° to 130°F for rare to medium rare, 20 to 25 minutes, or 135° to 140°F for medium rare to medium, 25 to 30 minutes. 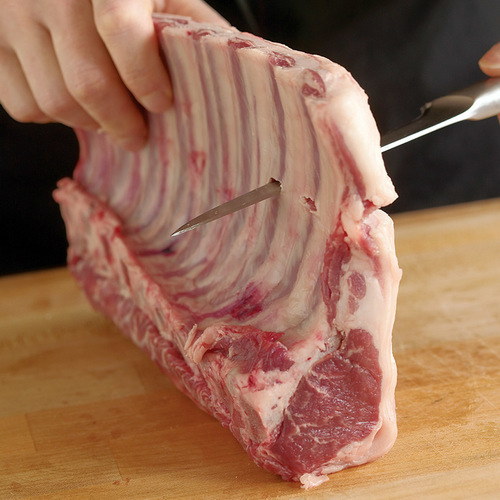 Let the lamb rest for 10 to 15 minutes before slicing it into chops. Serve the chops on the same plate as the cucumber, fennel, and roasted potato salad with some of the mint relish spooned around the meat. Leftover relish is delicious on grilled or roasted eggplant. No one flavor of the relish takes over. They all share the stage, and there's a wonderful blend of textures. The relish is a nice compliment to the lamb. A recipe to repeat. 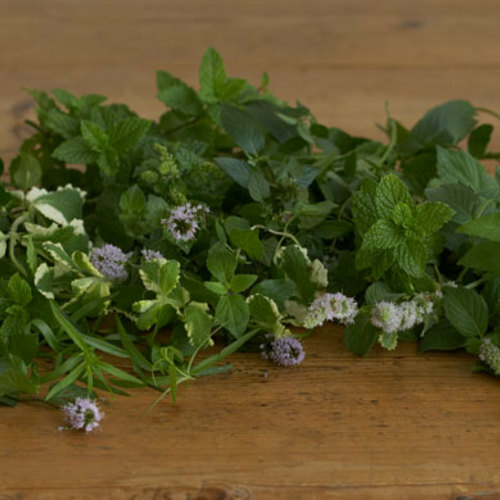 This relish is a great change from the traditional mint jelly! 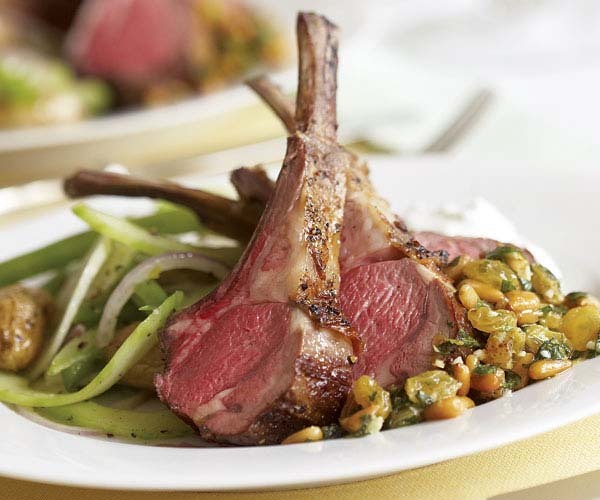 This recipe is easy to make and is truly the best lamb I have ever made.